The companies that build our smartphones, our cars and our appliances don’t want you or your repairman to be able to fix them. And the "right-to-repair" movement is fighting back. Tom Schwarz, fifth-generation farmer, involved in lobbying for Nebraska's state's right-to-repair bill. President of the Phelps Gosper County Farm Bureau and has a seat at the American Farm Bureau. "You just talked about the Apple [iPhone] shutting down, and that actually can be a safety issue, but I've got a better one. I live in a maritime community, and one of my colleagues has a boat that he re-powered with a John Deere marine diesel a number of years ago. And he's constantly had problems with it breaking down and has to get someone to come 100 miles that's factory certified to look at it — they still haven't been able to figure it out. But the big issue is, John Deere will not allow a workaround, so if you're out in the middle of the ocean and you're calling about the boat or something, and your diesel breaks down, a diesel engine is the simplest thing to keep going except John Deere makes is impossible to fix while you're at sea, and that's life-threatening. You could go up on the rocks, you could lose your life. "This has happened to [my colleague] where it's broken down and he's had to limp in ways, not using his engine. If you were out in the middle of a storm — fortunately it hasn't happened so he hasn't lost his life — but he is very concerned. He is trying to figure out how he can re-power the boat because he thinks the John Deere marine diesel is unsafe. We've actually been trying to get in touch with the Coast Guard, their excuse — not the Coast Guard but John Deere — is, 'Oh, we have to have it this way because we have to meet certain standards for the environment, for energy efficiency and things like that, so we can't let you disable our computer system to be able to start it.' It would be very simple if you could disable all of the extra junk that they put on and disable the computer, you could run a diesel engine all day long without any power except to run and start it." "It's incredibly frustrating, because a lot of the times it's just like, 'Oh, you know, I took it down to my friend who works on this stuff all the time, and all he did was open it.' Unfortunately, from there, even then, Apple is just like, 'Oh, hey, if it's a 6S or newer, they opened it and they can't put the adhesive back on, we can't say definitively they didn't do anything else.' So it's going to be a whole new phone replacement." "I myself was asked by two state senators to testify in front of the state of Vermont legislature about this very topic. And we had a conversation on Vermont Public Radio, and there's just so many aspects of life where this comes into play. And I myself own a computer and cellphone repair shop, and see these problems every single day. And really, where it's become frustrating, is obviously, I'm kind of on the cusp of, 'Well, maybe I won't have a job in five years because I won't be able to do much with people's devices.' But not only that, you see people spending thousands of dollars — I had a customer come in just the other day with a brand new iPad Pro 12-inch, and his charging port wouldn't work, and he asked me, 'Hey, how much is it going to cost to fix this?' And I had to basically explain to him that not only was this device glued together, but the charging port is now soldered in, versus years ago when you could kind of remove the screen and a lot of the parts were kind of in with top connectors. It made things a lot easier to fix, but now people are having to throw these devices away. And the sad thing is that Apple is not really fixing these devices themselves. I've called on behalf of customers, and they said, 'Well, you can give us $250 and we'll just replace the device.' "
"So I had a 2015 MacBook Pro, and I spilled some water on it by accident. I did some research online, and I found that there's a piece inside the MacBook Pro called a trackpad cable that's very susceptible to water damage. Pretty much, I could turn on the laptop, but the keyboard and mouse stopped working. So I just wanted to confirm the suspicion. I brought it to the Apple store, and the clerk that I was speaking to told me, 'We'll replace the trackpad cables for $80. If it works, you can pay it and that's fine, and if it doesn't work, we won't charge you anything and we'll go from there.' So I thought, 'This is great.' I left it at the Apple store for a week, I came back on Friday, I picked it up, and, alas, they had not replaced the trackpad cable. All they did was tell me that there was water damage — which I already knew. So I was pretty annoyed with this. I did some research, I ordered the trackpad cable on Amazon for just $10, I opened up the laptop, I replaced it myself, I fixed it and a year later the computer is working great. "$850 was the cost, and they heavily advised me not to open it myself because if I had done that then they weren't going to be able to help me at all. $850, managed to fix it for $12, strongly advocate trying to fix it yourself." Washington Post: "‘Right-to-repair’ advocates claim major victory in new smartphone copyright exemption" — "The Librarian of Congress and the U.S. 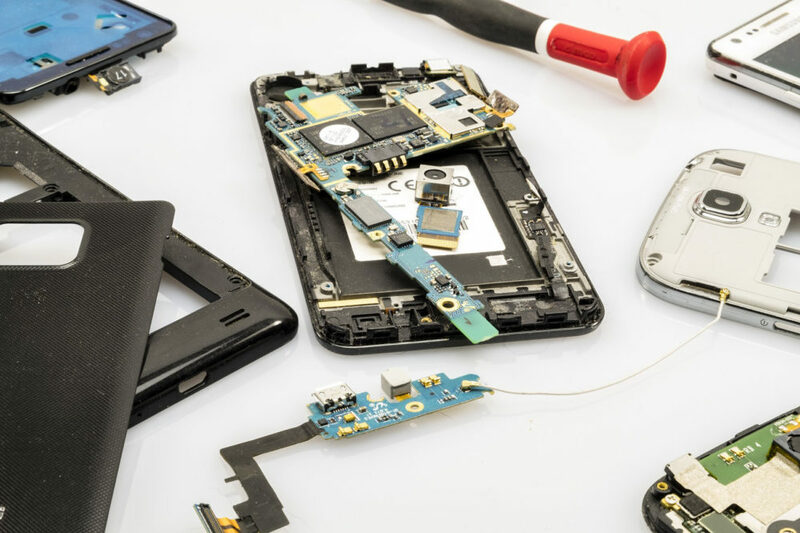 Copyright Office have granted American consumers and gadget repair shops greater freedom to fix their smartphones and other popular electronics in what 'right-to-repair' advocates are calling a major victory. "In a new ruling that will take effect Sunday, the Librarian of Congress has carved out exemptions that allow people to legally circumvent digital 'locks' on devices they own, such as voice assistants, tablets, smartphones and vehicles, to repair them. Motherboard earlier reported on the ruling." Fast Company: "You may now legally fix your gadgets by hacking their software" — "As of Sunday, fixing your own phone is now legal even when it involves hacking the software protection measures on board. "That’s one of several new exemptions to the Digital Millennium Copyright Act that the U.S. Copyright Office and Librarian of Congress granted this week. The law generally prohibits people from circumventing copyright protection measures in digital media and software, but every three years citizens can petition the government to consider exceptions to the rules. "This time around, groups like iFixit and the Electronic Frontier Foundation successfully pushed for sweeping changes. In addition to repairing your own phone, you may now legally use software hacks to fix home appliances, smart home gear, and motorized land vehicles such as tractors. You can also hire a third party to make those repairs on your behalf and can unlock new phones instead of just used ones." Jefferson Public Radio: "'Right To Repair' Farmers Versus John Deere" — "Farmers are known to be a self-reliant bunch; able to plow a field as well as fix the equipment that does the plowing. Unless it's not allowed. "That statement requires some explanation: John Deere, the big tractor maker, wants to make sure its dealers perform the repairs on Deere equipment, and has the backing of some major groups and legislators. "On the other side is the Right to Repair group, which wants farmers to be able to perform their own repairs." 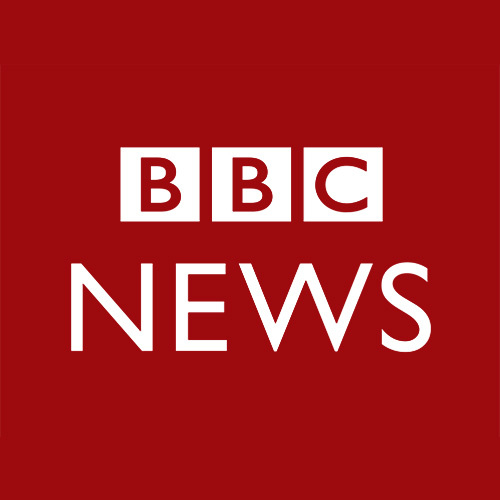 This program aired on November 1, 2018.